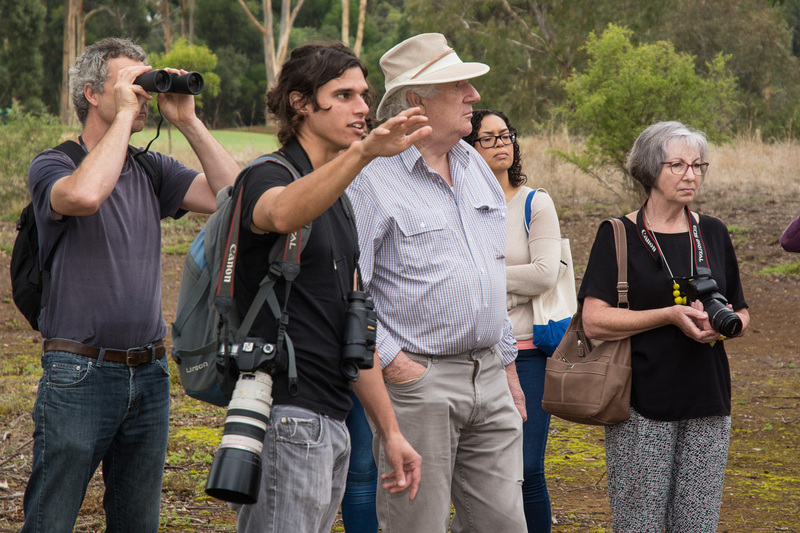 Eynesbury bi-Monthly Walks: Onya Chris. One of the areas that we really enjoy working and walking in is a strand of Grey-box forest at Eynesbury. I’ve written of my joys of Grey-box a number of times and the area is primarily flat, open and easy to negotiate. Apart from the usual fire access track, the Eastern Grey Kangaroo mobs that roam the area have left some very useful pad tracks that make getting around the area simple. Eynesbury village has among other things—well apart from the golf course—a connection with the forest and locals are quite proud of the beautiful area. One of the locals, Chris Lunardi, is committed to helping people understand the environment, and the challenges of returning the forest to a pristine state. To that end, one of his activities is a bi-monthly bird walk through the forest. From humble beginnings this has grown to a well patronised activity, and something, EE, Mr An Onymous and I try to get to each session. This is a video link to Facebook for receiving the award. Well done Chris, the hard work has been worth it. The Eynesbury Environment Group also received a “Highly Commended” runner up award under the Protection of the Environment banner. This also is great achievement for such a young group and congratulations to all those involved. Which leads us right into the forest for a day’s walk. Its pretty well documented that I really enjoy the company of Jacky Winter. I was fortunate on this walk to come across three pairs. Nothing like a little sunshine, and some fine wattle for a backdrop. This pair seems to have established an older territory that hasn’t been used in the past couple of years. The demure of Jacky is such that the word ‘charming’ often comes to mind. And I think Jacky was as happy to have some sunshine as I was. 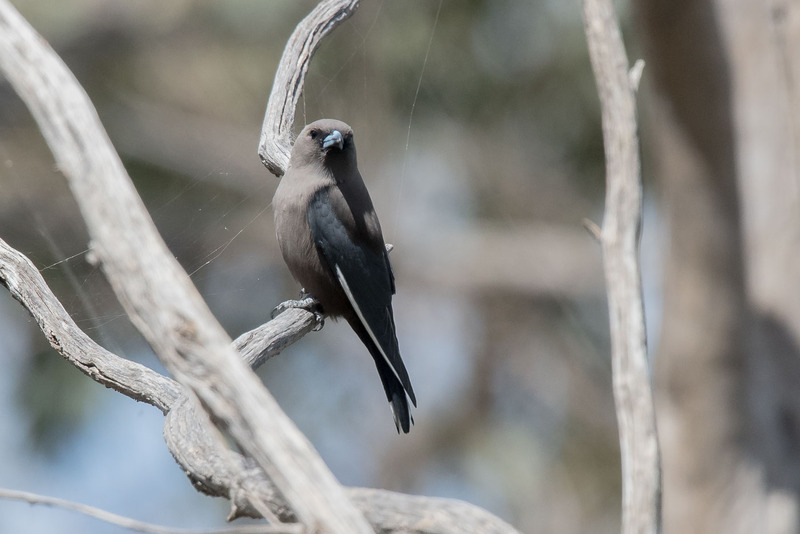 Dusky Woodswallows have returned and in good numbers, so it will be a busy forest once they settle down and stop playing Woodswallow King of the Perch games. Brown Treecreepers are already showing the way and have at least some young off at this early stage. 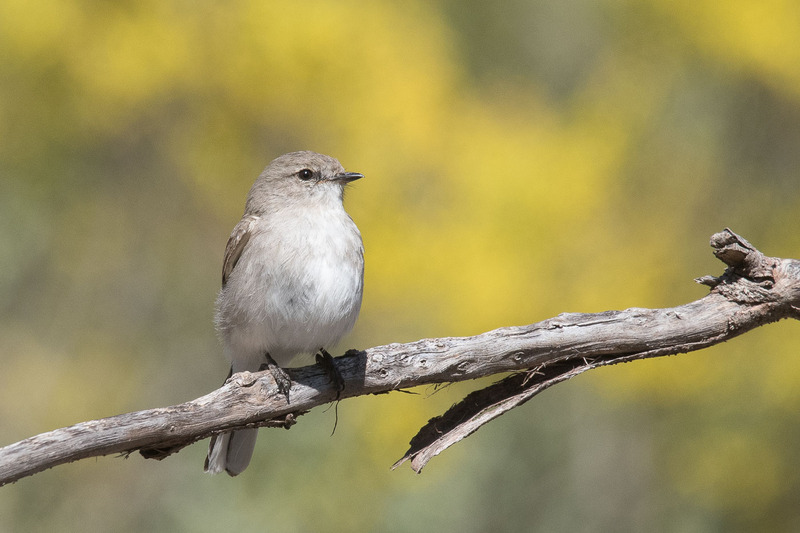 Seen as endangered, the Eynesbury birds are doing their best to reverse that trend. A gem of the forest. 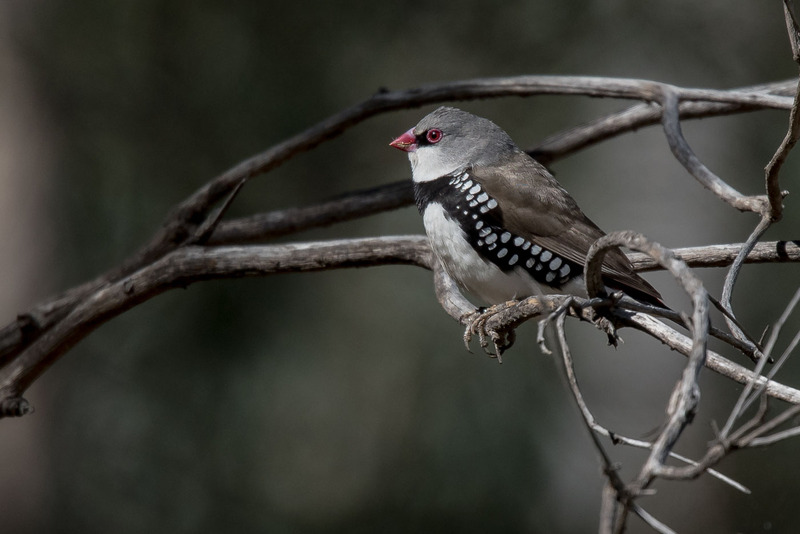 The Diamond Firetail. 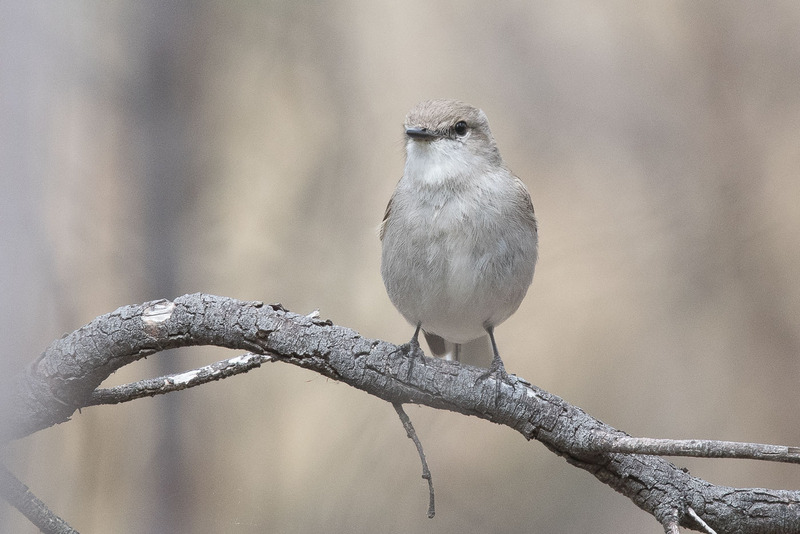 Another bird that seems to flourish in the Grey-box forest at Eynesbury. Here is Chris in action. Great David! Chris has led you all to some lovely finds. Great to see Jackie again. Chris totes a lens similar to my own, which is the most popular carriable birding lens. Wonderful images and commentary. The colour harmonies in some shots, especially the Jacky Winter ones are lovely. Good on Chris – great to see such dedication being recognised and rewarded. 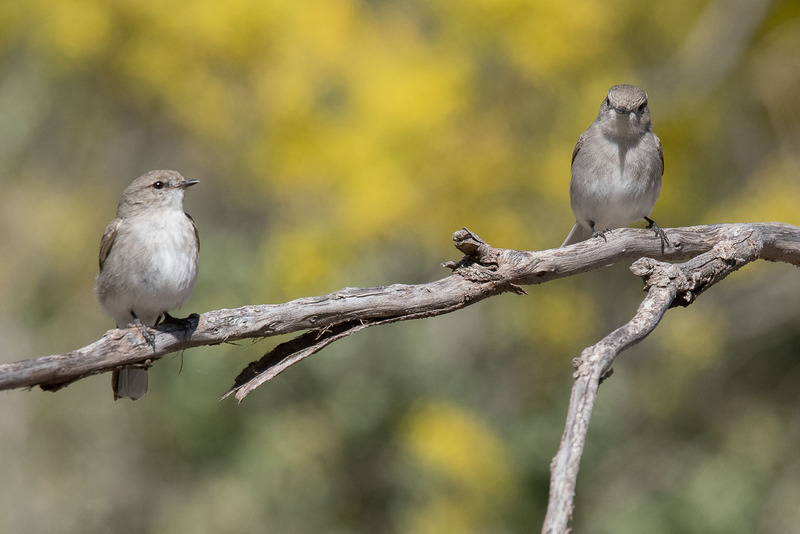 And of course beautiful shots of the birds you encountered on the day. Thanks for sharing once again, David.